We all need to grow in our understanding of Christian traditions and in the depth of our faith. 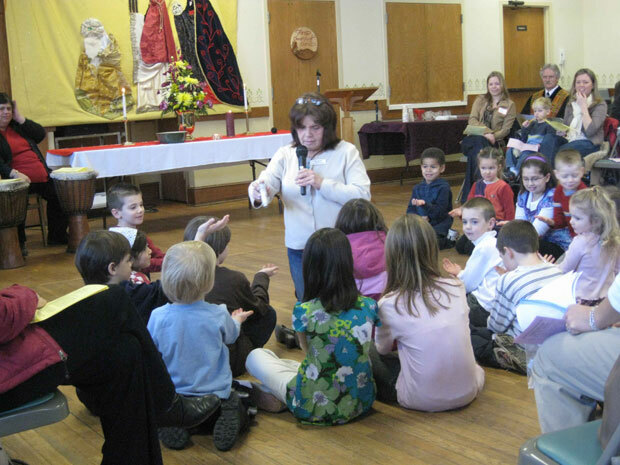 The Board of Religious Education provides programs to enrich the spiritual life of every age group at First Church. Board members work with other volunteers in implementing a wide variety of the programs. First Church has a long-standing reputation among area churches for our effective, creative ministry to children and youth. The practices and traditions are continually evolving and being renewed. We use the SPARK! Sunday School Curriculum, which engages the children on many levels. SPARK is based on the ‘Lectionary,’ meaning the kids and the adults are learning the same Bible stories. After a ‘Message for All Ages,’ during 10am worship service, children are shepherded by teachers and volunteers to a short worship service, expressing concerns, praying, singing, and sharing their offerings. Then they go to Church School! On the first Sunday of every month, the whole church takes Holy Communion together, and the kids come back into the worship space. Your child can enroll in Church School at any point during the year. We would love to have you join us! Have small children? We have a nursery, with staff baby-sitters, assisted by volunteers, who provide care of infants and pre-school children during the entire worship. Pre-schoolers are brought into the balcony for the beginning of the worship service, after which they return to the nursery. A primary goal of the Pre-Initiate group is to prepare youth for the Initiation to Adulthood program. We learn and work together as a group. We help out in worship. We reach out to the community through projects – raking, food drives, craft items & cookies. Meets the 2nd and 4th Sundays at South Congregational Church. Recognized and widely appreciated as one of the best programs at First Church is the Initiation to Adulthood program. This is a two-year Rite of Passage for teenagers. The focus is on helping young people channel their energy and develop insight into personal faith, growth and self-discovery in areas around Self, Society, Spirituality and Sexuality. Innvative “Mystery Rites” adapted from cultures around the world and developed for use within First Church engage participants n a unique and memorable way. These mystery rites include the Rite of Separation, the Urban Adventure, the Masking Rite, the Sexuality Rite, the Wilderness Adventure, the Rite of Initiation. Various other rites and retreats round out the experience during the two years of this exciting program. The Initiation to Adulthood progran is conducted with the guidance of the congregation and the leadership of Steve Crabtree and Rev. Julia Burkey. This program provides for recent graduates of the Initiation to Adulthood program. 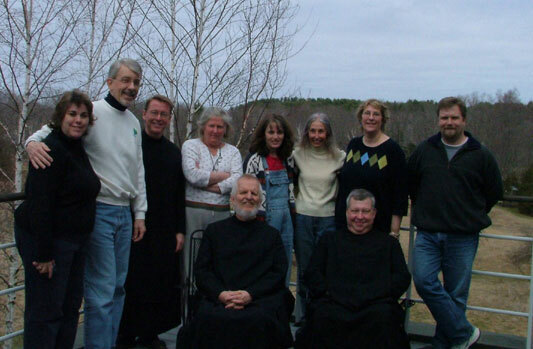 At various times during the week, adults meet in smaller, more personal settings to deepen their spiritual life. These are highly recommended as ways to become acquainted with others and to explore the meaning of our faith. Some of these groups meet on a short-term basis. Others, which are more long-standing, are described here. Everyone is welcome to attend any Spiritual Life Group meeting. Every Wednesday from 6:30-7:30, a group gathers in the Upper Study of the church to discuss a books about faith and spirituality. We explore a different book every month by authors such as Barbara Brown Taylor, Richard Rohr, Howard Thurman, Nadia Bolz Weber and Sara Miles. Anyone is welcome to join. We believe that there are particular tasks of the soul when one becomes an Elder. This program intends to create community and a sense of caring for one another, and gleaning the wisdom (and holy foolishness!) of being an Elder. We gather weekly for Bible Study around Wisdom Texts of the Bible. We gather monthly to learn from about techniques of being an Elder, such as living vibrantly into the later years of life, Elder Law, health, and talking about the process of death and dying.We gather quarterly for retreats. This is a powerful and transformative experience, so contact us if you are curious and you’d like to be involved. On various Sundays through the year, we gather after worship to hear speakers offer presentations on a variety of topics that serve to deepen our spiritual life. The Jacob Group is a Bible discussion group for men and meets each Tuesday afternoon from 1 p.m. until 2:00 p.m. Many bring their lunch.